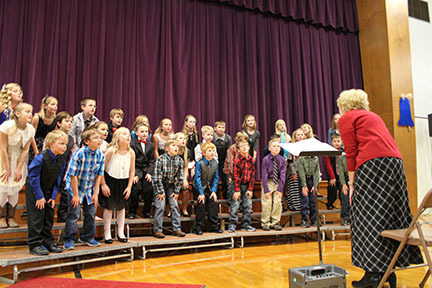 The Waterville Elementary school and Blue Rapids grade school will be putting on their annual Christmas Program on Monday December 4th at seven o’clock at the Blue Rapids gym. Christmas carols from new and old will be sung by the students to bring back holiday memories. Along with a special presentation of silent night. Directors Kim Oatney and Julie Popejoy look forward to the evening and wish to see family and community members there to help support the children.